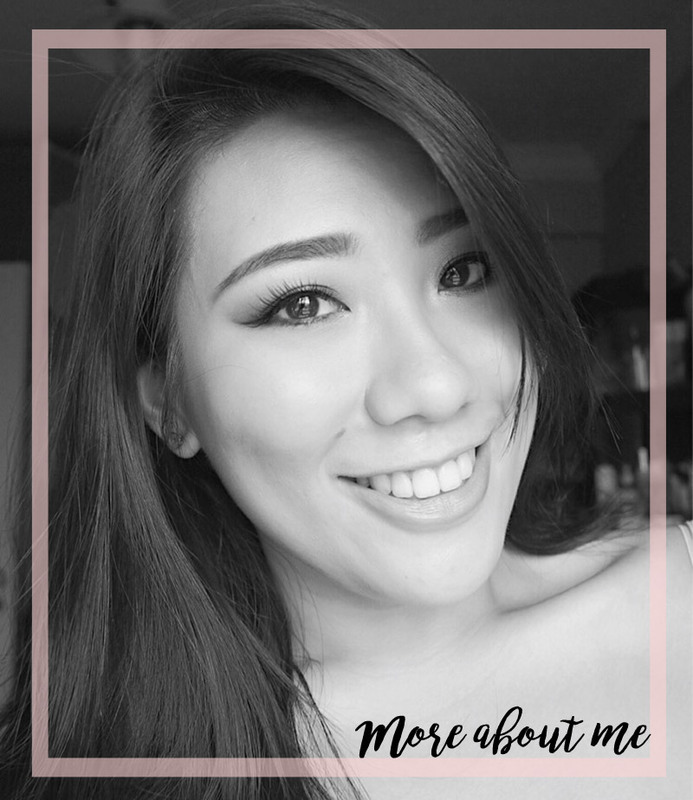 When I first started out with makeup which was about 4-5 years ago, affordable eyeshadow palettes that are of good quality were pretty difficult to find in our local drugstores in Singapore. Some were a hit and some, a complete miss. As time passed, I started to see the drugstores bringing in more brands from overseas and the range of options definitely improved. A few years back I believe, I started to notice KATE makeup in the drugstores and was really intrigued by their set up. I have tried their liquid liner before (fabulous, I might add) and was interested in trying out more of their products. For Spring/Summer 2017, Kate released a range of KATE Metal Glamour Eyes along with other launches, such as the Super Sharp Liner Ex, Glamourous Lash Mascara and Colour Enamel Gloss. 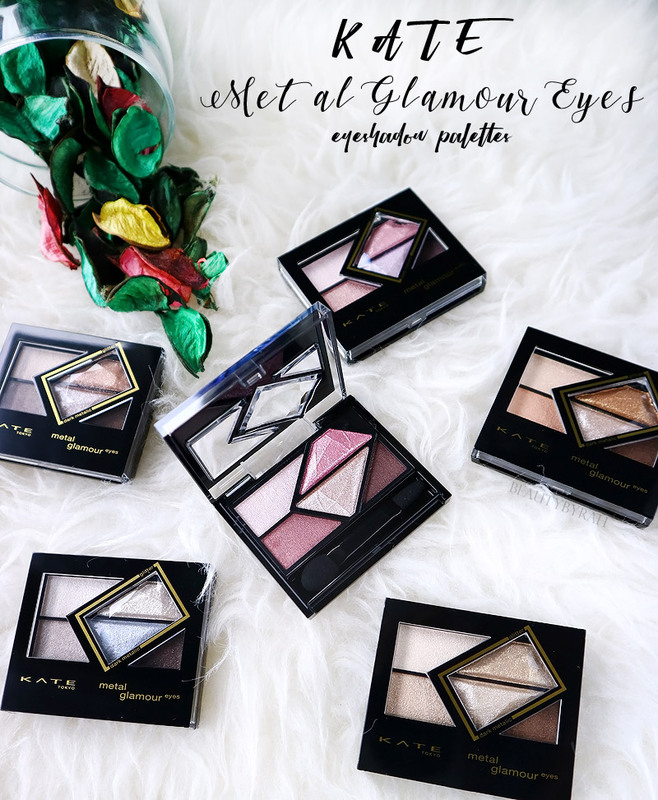 These Metal Glamour Eyeshadow Palettes are meant to create dark, metallic looks as the whole Spring Summer collection revolves around channeling your inner rock goddess with dark metallic colours and luxurious sparkles. 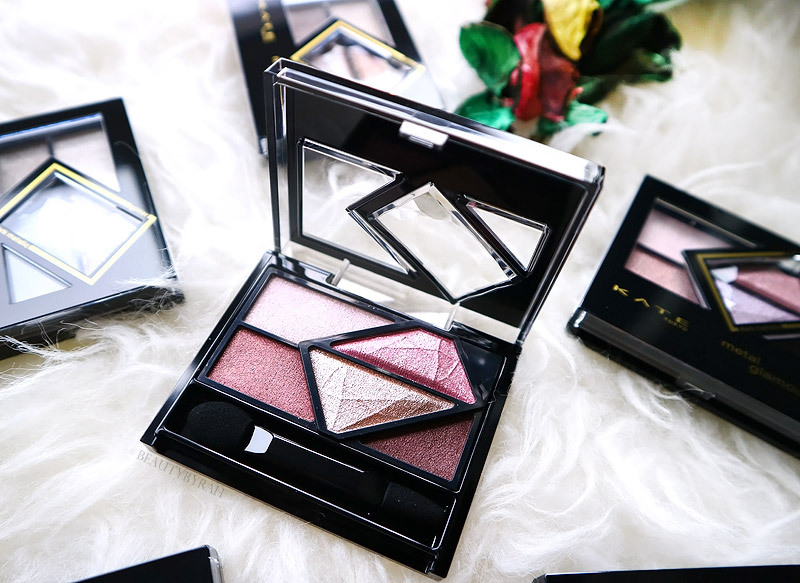 These mini eyeshadow palettes are packaged in compact black plastic with a partial see-though cover, and I foresee this to be extremely convenient for bringing it on the go or for travels. Unfortunately, there is no mirror but that makes the whole package even lighter. 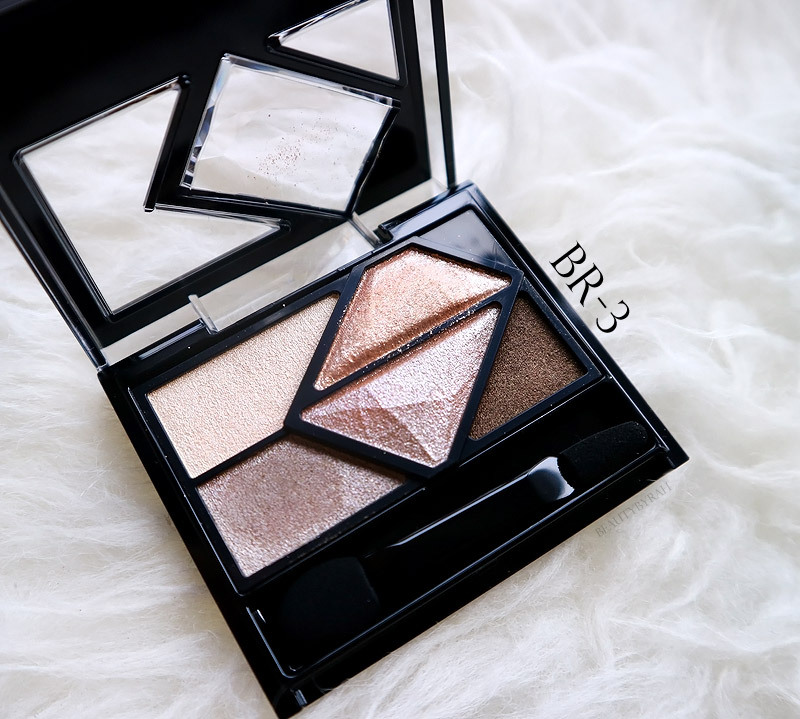 come with 5 eyeshadow shades - 2 metallic/shimmer and 3 satin. There are no mattes here, and if you're like me who likes to pop a matte shade into the crease before beginning any look, you'd probably have to bust out another eyeshadow or two. The eyeshadow quality is pretty impressive. 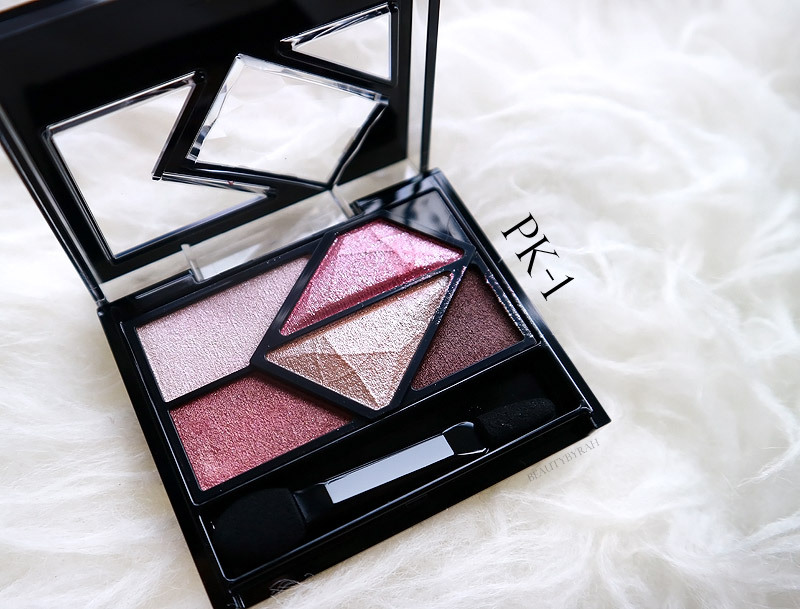 The shimmer shades are soft and creamy, and pigmentation is decent. 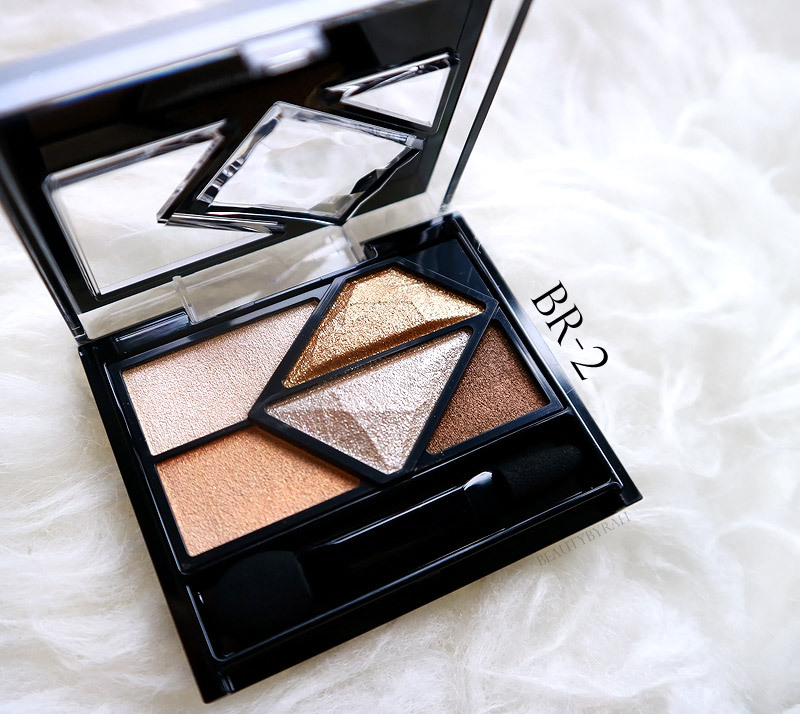 I get that some people, especially in Singapore and other asian countries, prefer the less-is-more, natural eye makeup look and these shadows would probably work great for that. 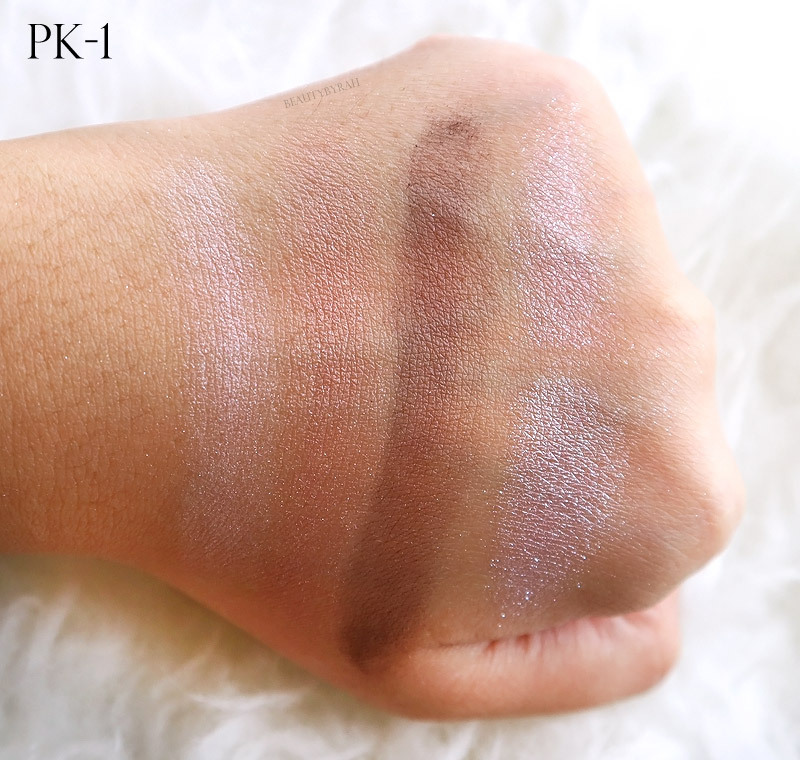 The shades do show up on the skin nicely, but it isn't too strong, making it suitable for everyday or if you're a beginner. There are 2 shades that come with large-grained glitter (the middle 2) that can help add a touch of sparkle to the look. I like to add these on the middle of my mobile eyelid to give it some dimension and to make the eye look rounder. 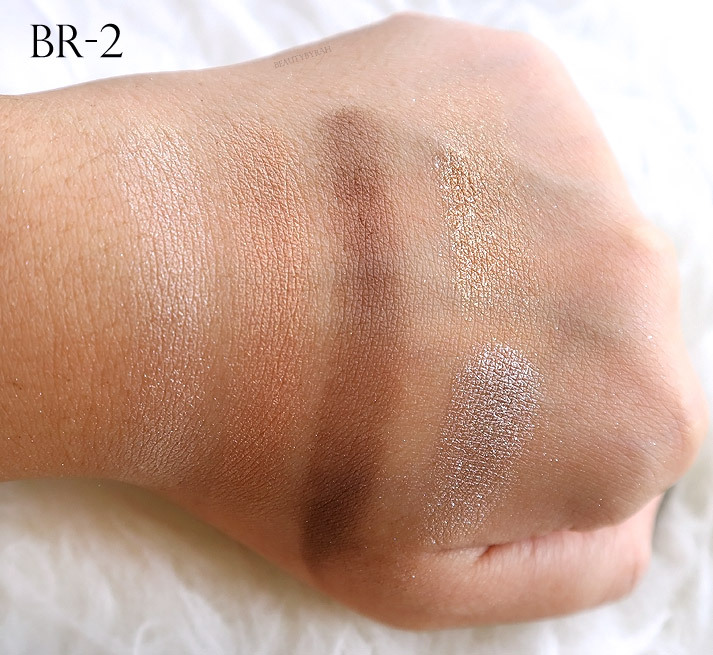 I have chosen 3 of them (my favourites) and here are the swatches. There are 6 shade variations available and they each retail for SGD 23.50. 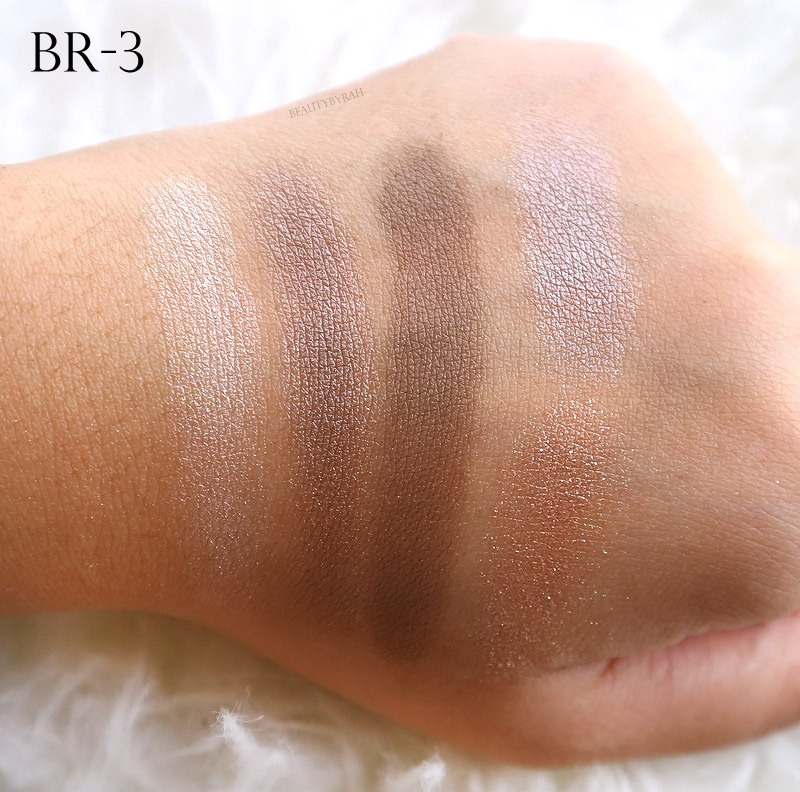 Each palette contains 3g of product. Kate Tokyo’s Spring Summer 2017 Collection can be found now at selected FairPrice Finest, FairPrice Xtra, Sasa and Watsons stores. 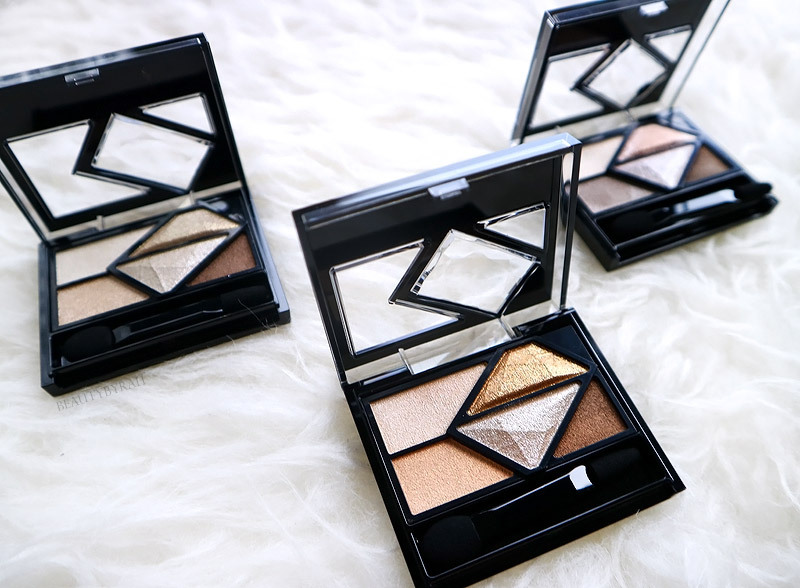 Did these KATE Tokyo eyeshadow palettes catch your eye?